Annmarie Skin Care > Organic Skin Care Ingredients > What Is Adaptogenic Skin Care And Why Does It Work So Well? What Is Adaptogenic Skin Care And Why Does It Work So Well? You may not think you know what adaptogens are, but it’s likely that you’ve already used them in some form. 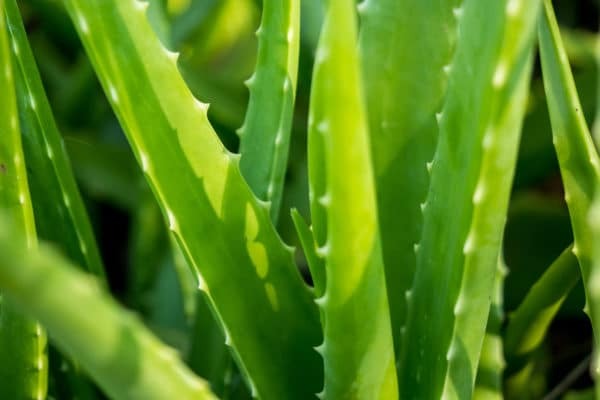 Did you ever soothe a wicked sunburn with aloe vera? Bingo! You’ve got some experience—but let’s take a deeper dive. Adaptogens are a group of safe, non-toxic plants, herbs, and mushrooms that are used to help the body reduce fatigue and ward off stress. The name is connected to the fact that these substances adapt to what the body needs in its current state of being. Despite being used for centuries in Ayurvedic and Chinese medicine, it wasn’t until 1947 that Soviet pharmacologist N.V. Lazarev made the term official. 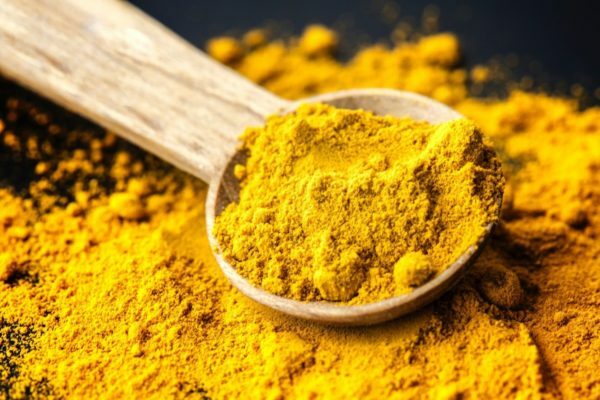 Aside from managing the body’s reaction to stress, Lazarev believed that adaptogens should also be non-toxic, safe for long-term use, and favorable to the body as a whole. Today, such research is being used by current pharmacologists to explore the connection between wild plants and treating a variety of illnesses, but adaptogens are also having a renaissance in the mainstream health and beauty world, too—like skin care, for example. Here’s a more detailed look on how the topical use of adaptogens can help improve the appearance of your complexion. What is Adaptogenic Skin Care? The premise of topical versus internal use of adaptogens is the same: to create harmony while adapting to the current needs of your body/skin. It’s also interesting to note that unlike any other organ of the body (and the skin is the largest), you apply adaptogens directly to your flesh. When applied topically, these natural ingredients can balance natural oils, remove impurities, care for your skin with natural defenses, create a calming sensation, and rejuvenate your complexion. Also, consider this: Stress can have an unfavorable impact on your skin, to include redness or discomfort, premature aging, and hormone imbalance, so adaptogens can help regulate these issues. This action is similar to the role antioxidants play if you’ve spent too much time in the sun, live in a polluted city, had one too many cocktails, or live a stressful lifestyle. As discussed, adaptogens aren’t a new breakthrough discovery, so why are we seeing such a resurgence lately? One good universally theory is stress. Recent Stress in America reports suggest that Generation Z (those between the age of 15 and 21) are stressed about safety due to regular mass shootings in schools, headline issues ranging from sexual assault to immigration, money and work issues, and the overall fate of our nation. This is not to say that other generations don’t have the same concerns. Uncertainty about health care and not having enough money to retire are additional burdens older generations have. Regardless of the reason, when the body is stressed, it causes a chemical response that makes the skin more reactive and more apt to produce stress hormones such as cortisol. This in turn can cause a myriad of issues such as imbalanced oil production, clogged pores, and increased symptoms/flare ups with skin conditions such as eczema, rosacea, and psoriasis. While each ingredient is known to aid the skin in a specific manner, as a whole, all topical adaptogens bring balance back to the skin. Naturally provides protective moisture while creating a calming sensation. A strong antioxidant that can possibly help prevent stress-related clogged pores while creating a brighter, smoother complexion. Purifies the skin, decongests pores, and helps to protect from environmental stressors. Brightens and lightens your look while providing powerful antioxidant activity to help promote beautiful skin. Works to defy your age by guarding against natural elements and prolonging a more youthful appearance by nurturing and moisturizing the skin. A mushroom extract that has been known to alleviate temporary redness or discomfort while shielding against environmental stressors. A great adaptogen for warding off environmental stressors and outdoor elements while promoting an even skin tone at the same time. This herb may help renew the look of beautiful skin, give a boost of hydration, and temporary alleviate redness or discomfort. Natural skin protection that makes skin appear luminous. Like it’s Ayurvedic sister Ashwagandha, Tumeric has a calming sensation and renews the look of beautiful skin. So, by now you may be asking yourself: “do adaptogens really work?”. The short answer is yes—but note that while they are powerful, they are also slow to act, so patience is a virtue if you want to see results. Also, keep in mind that regardless of taking them orally or topically, be mindful of purchasing a quality-controlled product with a proven ability to penetrate the skin and reach the target layer. This can be a tough nut to crack since adaptogens have yet to be approved by the FDA, but this does not erase the history of adaptogenic use throughout time, so bear that in mind. Lastly—if not most importantly—there’s no miracle solution for stress and how it affects your body inside and out. If your life is chaotic, you skin and body will reflect it. There’s no replacement for a poor lifestyle, so you will have to eat/drink well, get enough sleep, exercise regularly, and manage your stress levels in order to look and feel your best. Do you use adaptogenic skin care? Share with us in the comments below! Adaptogens come from plants that have had to adapt to extreme and stressful conditions like the high altitudes of the Andes mountains. They developed these nutrients in order to not only survive but flourish in these conditions. Yes, they are nice in skin care but they help us in our stressful conditions best if we use them in our diet on a regular basis.Here are some that my husband and I enjoy- ashwagandha, eleuthera, rhodiola, maca, cordyceps, reishi, holy basil, shatavari, schisandra, licorice.